A small Venetian cosy hotel. The crocheted tablecloths and the old furniture in the breakfast room, add to the hotels special charm. 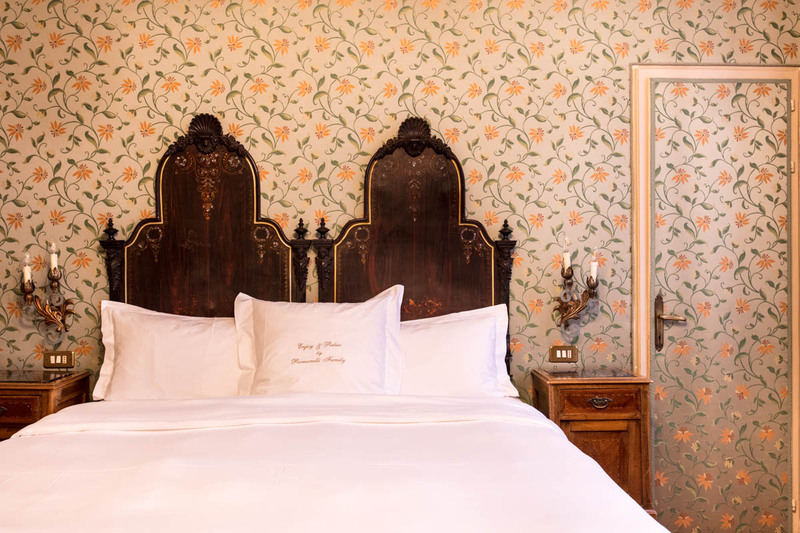 The rooms are furnished with cream coloured Chippendale furniture, which matches the flower drapery perfectly. A good tip!